If you are thinking about throwing a San Diego gold party or selling your old gold jewelry at a gold party of one of your friends, you might want to think again. For starters, most San Diego gold parties are illegal. 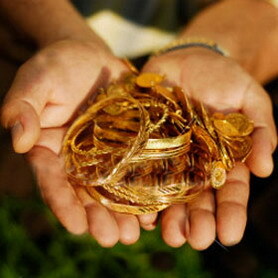 Over the years several individuals have been caught buying and selling gold at illegal San Diego gold parties. For example, back in 2009 JCK reported about how two retail jewelers in Watsonville, CA, were facing misdemeanor charges for allegedly purchasing used gold jewelry without proper licensing or crime-prevention procedures. This story about illegal San Diego gold parties was covered in the Register-Pajaronian newspaper. Both of these jewelers were ordered to appear in court to answer for their failure to comply with state and city standards, said the newspaper. 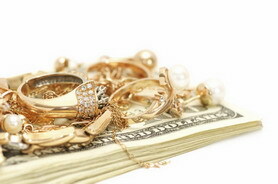 One of the gold buyers acknowledged having bought jewelry for over a dozen years, unaware that in addition to a business license, state law requires jewellers/gold buyers to have a second-hand or pawn license in order to buy used goods like scrap gold and gold jewelry. The crackdown on illegal gold parties in California began in late 2007, when police say a series of complaints prompted them to issue a warning letter to all jewelry dealers and launch an undercover investigation. Police sent a letter to 25 merchants, advising them of the licensing law and their need to comply with it if they were buying or pawning gold items, said the newspaper. The crackdown served to educate local businesses about laws known as the California Business and Professions Code and the city’s obligation to uphold them. Outside the fact that most San Diego gold parties are illegal, you also won’t get the most money for you scrap gold at a gold party of one of your friends. Why? Because there are too many people involved who all need to make a profit. Rather than selling your gold at a San Diego gold party, you are better off selling your gold to a buyer that is both a gold refinery and an expert jeweler. Not all gold refineries are the same. Some of the big nationally advertised gold buyers who are gold refineries have been exposed as paying the lowest amounts for your gold jewelry, while other gold refineries aren’t really refineries at all but ship the gold they buy to out-of-state refineries. However, San Diego Jewelry Buyers is unique in that they operate a local San Diego gold refinery and are expert fine jewelers to boot. They therefore pay the high cash amounts for scrap gold as well as high-end diamond jewelry which never should be melted down. When selling your gold to a San Diego gold refinery or other kind of local gold buyer, make sure that you research who they are and how they do business. 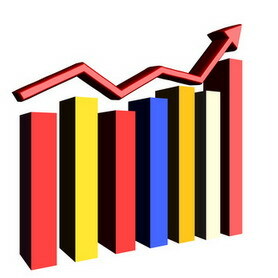 The folks at the Gold and Silver Blog have been writing informative material on the strength of the gold market. According to the GSB, the consistent rise in gold prices has been due to factors such as concerns regarding weak currencies and unstable foreign governments. In addition, gold has been viewed as a safe haven investment and has been attracting an increasing share of investment dollars. Despite the recent leveling off of gold prices, many market experts are predicting a continued rise in prices over the long term, says the blog. According to recent market reports (as of November 26), SPDR Gold Trust (GLD) stated that its holdings remained unchanged from the previous trading day at 41,316,740 ounces. The IShares Silver Trust (SLV) stated that its holdings declined by 5,865,684 ounces to 344.374 million ounces. Market experts have suggested that the holding pattern, as well as the slightly lowered prices indicate a decrease in safe haven demand. Recent data on the economic situation in the US has at least temporarily arrested some of the more pressing fears about the economy, and the price of gold has typically risen and fallen inversely to the strength of the dollar. What this all means for those in San Diego and greater California who want to sell gold is that the times remain good for receiving top prices for your gold jewelry, dental gold, scrap gold, and other gold items at a San Diego gold refinery or other precious metal buyer. Will you be able to get a better return if you hold on to those item for a little while longer? Maybe. But, of course, gold prices could also fall soon, as well. All we can say for sure is that current gold prices will give San Diego sellers a strong return on their luxury gift assets made of gold. San Diego owners of sterling silverware often ask just what brands of silver flatware are worth the most money. If you are fortunate enough to have any silver flatware or holloware by Georg Jensen then that is exactly the kind of silverware that second-hand sterling silver buyers are looking for and will bring you very high buying offers. Take for example the Georg Jensen silver pieces recently sold on auction at Christie’s. A Danish silver six-piece tea and coffee service set went for $27, 500. And a Danish silver flatware set was sold for $50,000. Jensen’s naturalistic silver designs took their cues from the aesthetics of the Arts & Crafts and Art Nouveau movements, and his stylized fruit and floral motifs reinvented new shapes for established silver forms. The Blossom pattern is one of the most classic examples of the early Jensen style and can be found in the tea and coffee service and Blossom pattern silver flatware. Georg Jensen also employed several skilled silversmiths and designers to work with him. 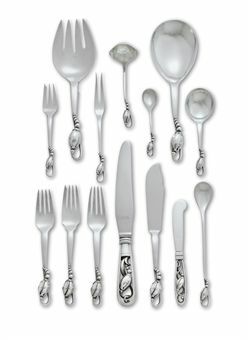 Among the most celebrated of these designers was Johan Rohde, who joined in 1917 and is perhaps best known today for designing the Acorn pattern flatware. In contrast to Jensen’s work, Rohde’s was more spare in its use of ornament, illustrated by his incredibly sleek silver pitcher designed in 1920 and considered an iconic 20th century silver design. 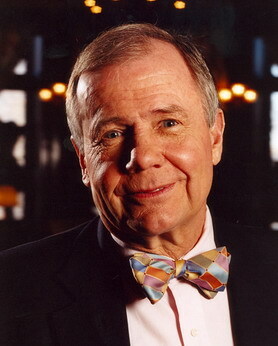 His pieces show less interest in naturalism, instead finding inspiration in historical styles, as demonstrated by the Acanthus pattern flatware which draws upon a classical vocabulary. A classic fish dish, one of few to feature a fish on the mazarine, epitomizes Rohde’s talent for stylized forms. Remember to always seek out a professional San Diego silver buyer if you ever on the possession of a set of precious silverware like those made by Georg Jensen. In the following media interview, the owner of San Diego Jewelry Buyers (SDJB) discusses the ways in which his company’s gold and jewelry impacts the local economy. 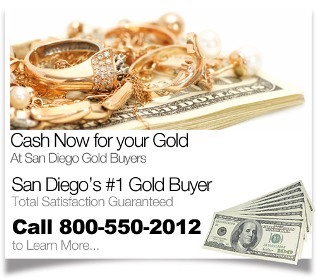 San Diego Jewelry Buyers has been in the gold, jewelry, and watch buying business for some thirty years. In these difficult financial times, what role do you see your company fulfilling with regard to the larger San Diego economy? Owner: Every day, San Diegans bring me items which have been lying around in a dresser or safe deposit box, and trade it in for cash. Yesterday a woman in her 80s traded in her scraps of old gold for about $1800, and said she was going straight to Best Buy to get a brand new flat screen TV and home theatre for her apartment. All things considered, I think she’ll get a lot more enjoyment from that TV entertainment center, than she was getting from some old broken gold jewelry that had been lying around in her dresser drawer for 30-40 years. I joked with her that if someone ever breaks into her apartment, the gold would have been a lot easier to make off with than the new giant flat screen TV mounted to her wall! So you are saying that San Diego Jewelry Buyers helps customers realize wealth they might otherwise have forgotten about? Owner: In many cases, yes. But it also is more than that. When people find out that they have un-tapped wealth sitting in their drawers and cabinets, wealth that can be transferred into quick discretionary income, this feeds the local economy. Money is moved, circulated, spent, and re-generated through all the businesses that the customers patronize with their sudden “windfall”. In addition, taxes are paid on all of these new transactions, thus supporting local, state, and federal government services. But at some point doesn’t this all run out? I mean, there is only so much of this “untapped” wealth lying around, right? Owner: On the one hand yes, and on the other hand, no. 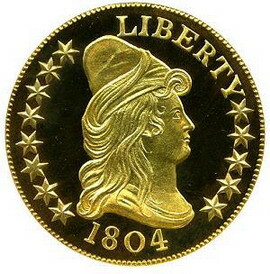 People often ask me “you keep buying all this gold, don’t you think the public will run out of gold soon?” My answer is to point to the whole eBay phenomenon, which turned millions of everyday Americans into moonlighting dealers of second-hand merchandise. That started long before the current gold rush and economic crisis, and people are still selling their unused possessions on eBay, as much if not more so than ever. So do you think that Americans will run out of diamonds, gold, silver, jewelry, and fine watches anytime soon? Sure, the economy is bad now but it will eventually turn around. New precious items will continue to be bought, which eventually become “old” items, and SDJB will be here to turn those items into cash and transfer that wealth back into the economy. From what I understand, you also see San Diego Jewelry Buyers’ business as contributing to more than just the economy, don’t you? Owner: That’s right. As a professional jeweler and designer, I’ve been a longtime supporter of sustainable luxury. And when it comes to selling your gold to a company like SDJB, people are helping the environment by reducing the need for eco-harmful gold mining activities. The same thing goes for when consumers sell us their pre-owned diamonds and precious gemstones. It’s a win-win situation for our customers, for us, and for the community. 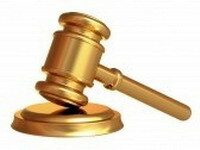 Orange County readers of the San Diego Luxury Pawn Shop report should take note that a new law has been passed. The Shawangunk Journal reports that under this new law, anyone who has a business that buys second-hand jewelry (gemstones and precious metals) would have to have a license from the county and undergo a background check. In addition, two crucial rules apply. 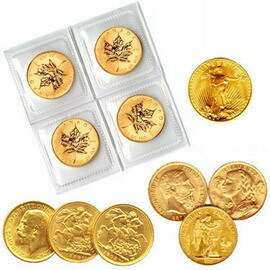 To sell gold jewelry to a store, you have to be over the age of 18 and you have to have photo ID for the store owner to see and if they want, to record. Then, the store or pawn shop must hold the items for 15 days before selling them.